NASA Alien Life Saturn Moon: With programs like SETI and Kepler looking for hints of invaluable life like conditions lights year away, here comes another piece of news that we might have struck some luck in our discovery right under our nose. Yes! If rumors are to be believed, NASA may have found a ‘potential alien habitat‘ in Enceladus, one of the moons of the Saturn. The space agency will hold a press conference on Thursday 19:00 GMT, making it 00:30 hrs on Friday in India, at the James Webb Auditorium at Nasa’s Headquarters in Washington. The NASA official release said that the announcement in the conference will reveal a discovery that will ‘help inform future ocean world exploration‘. ‘These new discoveries will help inform future ocean world exploration – including Nasa’s upcoming Europa Clipper mission planned for launch in the 2020s – and the broader search for life beyond Earth,’ NASA said. Meanwhile, one of the former employees of the agency, Keith Cowing, an analyst for Astrobiology, has got something interesting to speculate the results of the conference. He has suggested that the agency may announce that they have found evidence of chemical activity in an alien ocean on Escalades. He said that NASA has discovered chemical activity inside hydrothermal vents on the icy moon of Enceladus and the process is indicative of possible habitable zones. 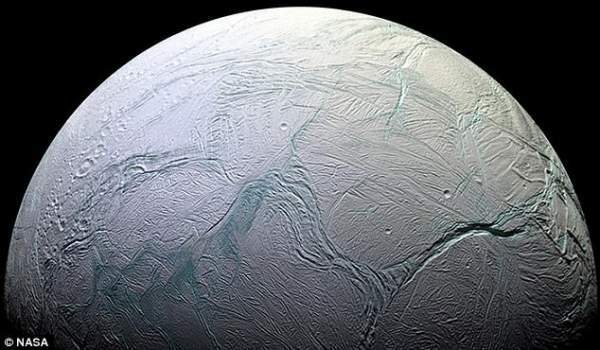 ‘On Thursday, Nasa will announce evidence that hydrothermal activity on the floor of an ice-covered ocean on Saturn‘s moon Enceladus is most likely creating methane from carbon dioxide,’ Mr. Cowing wrote in Astrobiology. At this point, it is important that we do understand the fact that, ‘habitable’ does not mean ‘inhabited’.’ It’s simply saying that life may strive there. This particular moon of Saturn has since long held the attention of scientists with its rumored watery jets, hydrothermal activity, and a global ocean buried beneath its icy crust. The fact that life on earth also started in such deep-sea crevasses only makes the recent development even more worthwhile. In the tabloid, Astrobiology, Mr. Cowling’s article goes something like this…..
On Earth, microorganisms are utilizing these vents as their homes. They aren’t using the Sun to gain energy rather glean energy from chemicals. Scientists hope that organisms that are able to thrive in harsh conditions may also live in other parts of space. Tomorrow’s announcement may even indicate these organisms exist inside our own solar system, according to Mr. Cowing. ‘Nasa bases this determination on the amount of hydrogen in plumes emanating from the moon’s south pole,’ he added. So with all the rumors flying around, only the official announcement can give credibility to Mr. Cowing’s hunches. So it’s time that we better wait for the moment!